Concrete slabs and paving stones are two of the most common methods of paving, but how do you know which one is right for your outdoor living space? Your walkway, entrances, and patio space offer a reflection of your ideal style while serving a practical use for your outdoor space. Use this chart to select the perfect material for your next project. 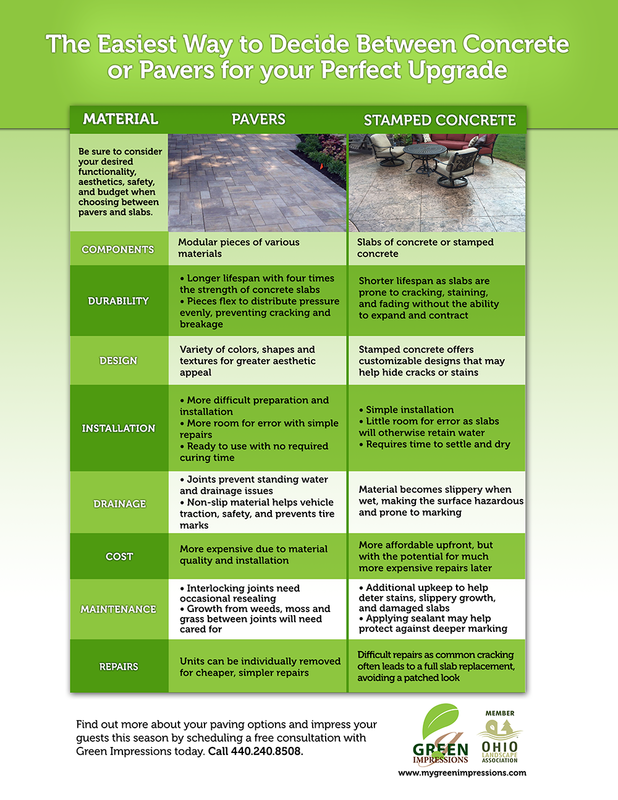 Be sure to consider your desired functionality, aesthetics, safety, and budget when choosing between pavers and slabs. 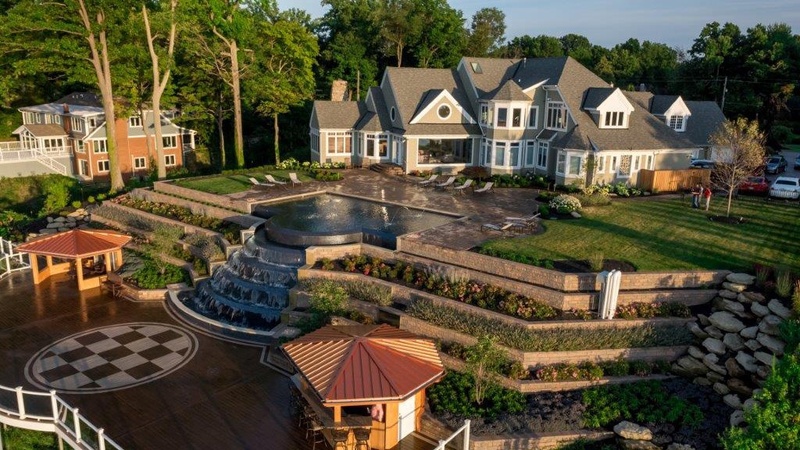 Pavers offer superb versatility and appeal, and are quickly becoming the most preferred resurfacing method among homeowners as they continue to increase property values. However, as an alternative to holding up your project due to the initial cost alone, stamped concrete can sometimes achieve a similar aesthetic effect to get the job done. Find out more about your paving options and impress your guests this season by scheduling a free consultation with Green Impressions today.